The latest poll asked what was your favorite amusement park treat. Options included a variety of classic amusement park sugar snacks including cotton candy, funnel cake, the corn dog, and ice cream. Emerging the victor with the most votes is the delicious but delicate funnel cake. An amusement park staple, the funnel cake is a fried nest of batter that with powder sugar becomes one of the sweetest and most delicious treats anyone has ever tasted. New Poll – Our next poll deals what has quickly become a tour de force of the amusement park industry pumping out the top wooden coasters on the planet. The Gravity Group, founded in 2002, has stuck with quality, not quantity, by producing just 5 world-class coasters in their 8-year period. 2011 has been a big year for the company, with 3 different projects across the globe. However, let’s take a look into the past and decide which pre-2011 coaster is the company’s best. In May 2005, the company unveiled their first coaster: Hades at Mt. Olympus took riders to hell and back with a 140 foot drop into a tunnel below the parking lot, emerging back into the light for a quick turn around before once again going under the tunnel. The following year, the company’s second creation debuted at Holiday World; The Voyage instantly became a hit with it’s 20+ seconds of airtime and three 90 degree turns. 2007 brought Boardwalk Bullet to Kemah Boardwalk in Texas, the compact design emphasizes on high speed turns and bunny hops for airtime. Waldameer Park introduced The Ravine Flyer II in 2008 including spectacular views of Lake Eerie, a jump over a 4-lane state highway and a custom terrain hugging layout. Lastly, in 2009, China received it’s first wooden coaster, Fireball at Happy Valley built on an peninsula, the coaster includes plenty of airtime and directional changes. 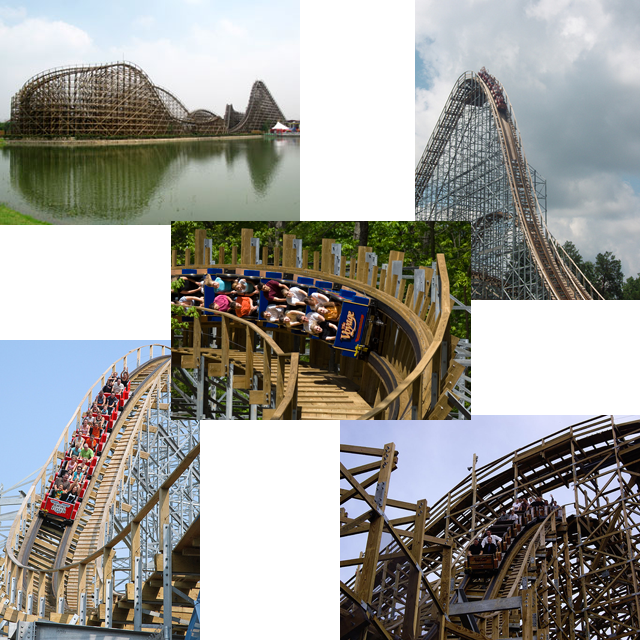 Which is the best pre-2011 Gravity Group wooden coaster? So, which of these coasters built by the Gravity Group is the best? Have you been on any? Leave a comment with your Park Thoughts below. What about The Gravity Group designs of 2011?